ISLAMABAD: Pakistan Tehreek-e-Insaf’s (PTI) decision not to field a candidate against Ali Wazir who is contesting election from National Assembly (NA) seat NA-50 South Waziristan as an independent candidate makes the electoral battle an almost one-sided affair. 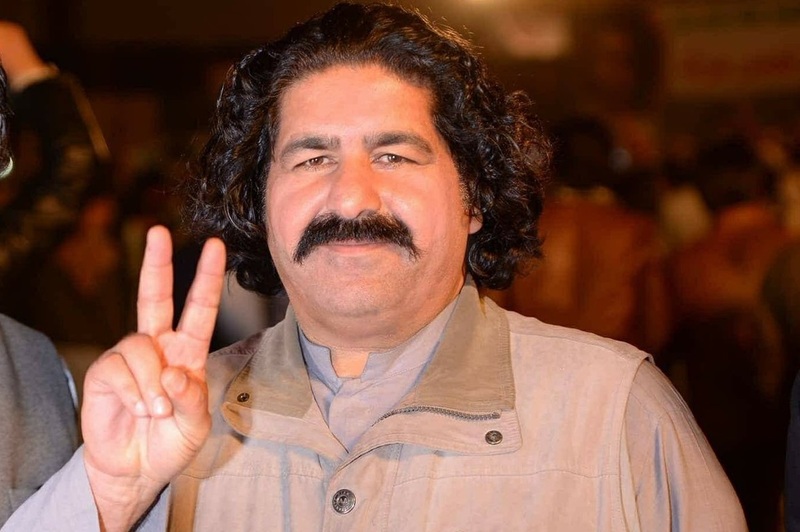 Ali Wazir, who is among the top three leaders of Pashtun Tahafuz Movement (PTM), has been considered the most favourite candidate in this electoral battle mainly because of his long political struggle, strong family background and the rising popularity among the youth. PTI is the rising political force in the terror-stricken area because the PTI chairman has great love and respect for the people of the area; hence tough contest was expected between Ali Wazir and the PTI nominee but now people widely believe that Ali Wazir would win the contest without taking much pain. The PTI chairman’s long-delayed announcement of the party ticket caused great frustration among the party candidates, however, his last day announcement during his interview to a private TV channel brought relief to aspirants. Sources said that all aspirants of PTI tickets for the constituency, including the party old-guards Ajab Gul and Zubair and Nasirullah Khan Wazir, were caught by surprise as to why PTI chairman took such decision without taking them into confidence when PTI itself in a position to give tough time to its rival candidates. 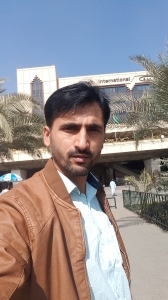 They said that Nasirullah Khan Wazir who remained third in 2013 general elections is likely to contest elections as an independent candidate. They said that Nasir Khan remained quite in-touch with his voters, hence he had political influence but it would be a daunting task for him to create an impact this time around party support because tribe, sub-tribe and clan play a decisive role in the region along with the party. They alleged that PTI’s decision not to field any candidate against Ali Wazir is wrongly portrayed as PTI and PTM’s electoral alliance despite the fact that Ali Wazir is contesting elections as an independent candidate since PTM leader Manzoor Pashteen repeatedly and categorically stated that PTM has nothing to do with parliamentary politics. He even stated that no one would be allowed to use the PTM platform and stage for political purposes. A few days ago, even PTM decided that those who are contesting elections, would not be part of the core committee of the movement. Talking to Pakistan Today, they said Ali Wazir even had won the last elections of 2013 from the same constituency but his mandate was stolen due to wide- ranged rigging in the polls. They believed that Pakistan Muslim League-Nawaz (PML-N) candidate who won the last election and remained State Minister for Safron did nothing for the area; hence it would be even difficult for him to do election campaign. Similarly, Jamiat Ulama-e-Islam-Fazl (JUI-F), once the sole political force in the trouble-hit tribal region, is losing its popularity as even in the last election its candidate seemed nowhere in the contest. They said that the situation further deteriorated for JUI-F; hence it awarded ticket to a candidate who even supported rival party candidate in the general polls. However, they believed that JUI-F candidate Maulana Muhammad Alam Khan, the most appropriate candidate but at the wrong time because the popularity graph of the party touched the lowest recently duo to the party leadership’s self-centered approach and its chief Maulana Fazalur Rehman’s silence during the war on terror and the subsequent mass exodus from the region. That is why Maulana Muhammad Alam has been fielded in the electoral battle not to win the seat but to avoid humiliating defeat of the party. When this scribe contacted Ali Wazir, he confirmed that PTI approached him in this regard, however, he did not divulge further details to this effect. Talking to Pakistan Today, PTI candidate Ajab Gul said all the local PTI leadership and workers are in great shock as on what ground such a decision has been taken when PTI is in a winning position in the constituency. He said that it is political suicide for the party and would have lasting impacts on the party in the provincial as well as local bodies elections. However, he said that they would take the final decision whether to support Ali Wazir or contest elections as independent candidates after taking into confidence the local PTI leadership and workers. Ajab Gul said that there is a possibility that aspiring PTI candidates may sit together and will support one candidate for the sake of PTI.